Earlier this year Nike released two colours from the brand new 10R City Collection. A collection which celebrates one of the best midfielders of the game, Ronaldinho! Might be one of the players that no one hates, and only have admired while seeing him playing. The two new colours takes us back to his days at FC Barcelona and AC Milan. We have already been taken through Ronaldinho’s first footballing homes Porto Alegre and Paris, with the last two 10R shoes. Ronaldinho is known for many things his dazzling play, wizardry, creativity, the famous celebration ‘Shaka’ and much more. But one thing that always will be remembered when talking about Ronaldinho, is his spirit and passion for football. Ronaldinho has secured silverware for all the clubs he played for and glory to his home nation with the World Cup win in 2002. The two latest 10R City Collection colours tells the story about his time in Barcelona and his time in AC Milan. Let’s start off with the time in Barcelona, where his name was on everybody’s lips! The white 10R City Collection takes us back to his time in Barcelona, a place where he had the most success. Barcelona was a dominate force in Spain and European football in the time he was in the Club. It also was here that Ronaldinho won the Champions League and Ballon d’Or. 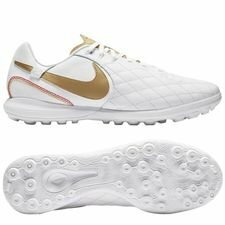 The shoes take inspiration from the iconic white and gold signature Tiempo boots which he used in his time in the club. The upper is made from calf leather with a quilted toe, and with the Lunarlon cushioning system which gives a nice and comfy shock absorption. After his time in Barcelona, Ronaldinho move to AC Milan, which the red 10R City collection is dedicated to. His time in AC Milan was quiet and short in contrast to Barcelona, and he managed to win the league in his third season. After the championship season he moved back to Brazil and played for Flamengo. The Red 10R City is made in the same red tone as the AC Milan kit, and with added black and gold detail to give the shoe a complete look. 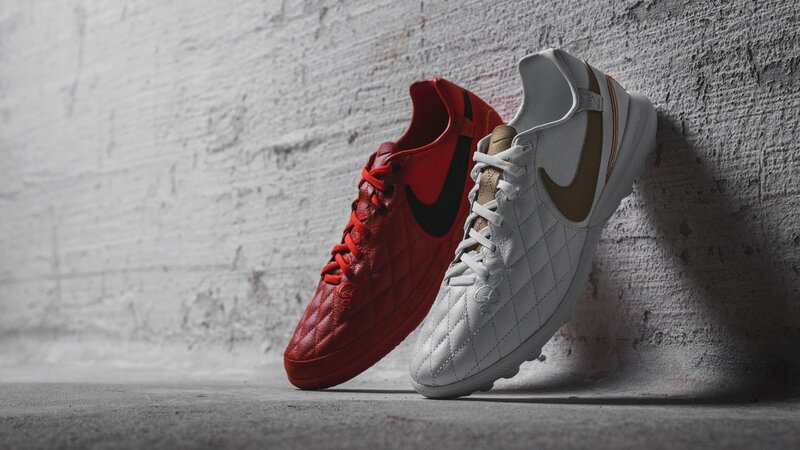 Equal to the white, the red ones are also made from calf leather with a quilted toe, and with the Lunarlon cushioning system. Both shoes are made with his famous and iconic ‘Shaka’ celebration icon in the sockliners. But they also have a red, orange and yellow samba stitching, which represents family, music and joy. 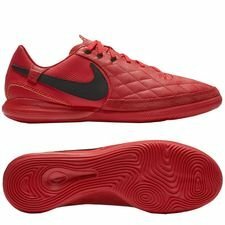 Furthermore, Ronaldinho’s personality comes with the printing of ‘I play with music in my head”, that is placed under the tongue of the shoes. Lastly a tonal 10R is embossed on the toe box. Do you also want to celebrate 10R’s history and his career. Then get your own 10R City Collection shoes right here!